Have you ever thought of hopping on a Trans Siberian train? There is something about crossing the entire continent by rail that has hypnotised travellers for decades. If you do choose to embark on such a journey, you will most certainly find yourself at Lake Baikal, one of the main attractions of the Trans Siberian Route and one of the most breathtaking landscapes in the world. To go to Baikal, you have to stop in Irkutsk, which is just as interesting. 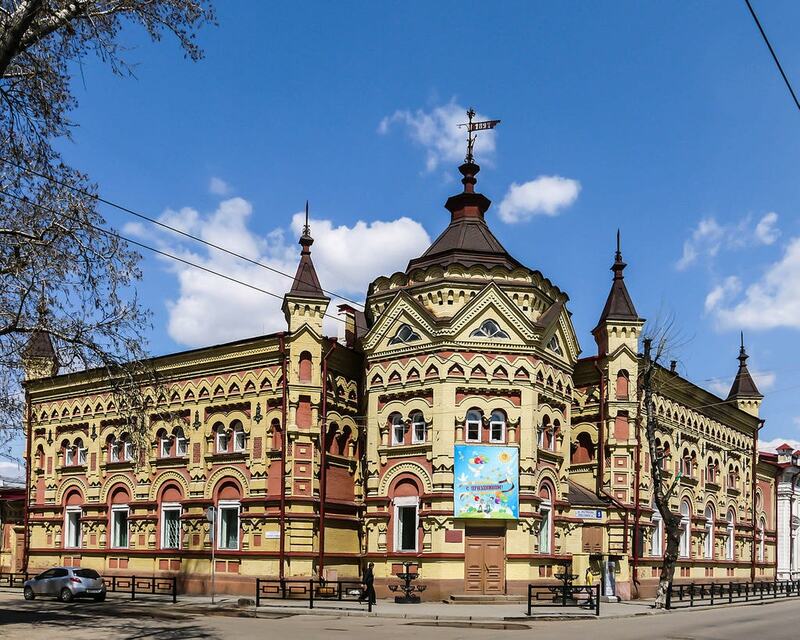 Here are the best things to see and do in Irkutsk. The very centre of Irkutsk is a UNESCO World Heritage site. The wooden buildings, some constructed as far back as the eighteenth century, have recently been restored to their stunning brilliance. Their colourful, mosaic-like facades make them look a little like gingerbread houses. On a crisp winter morning, when the sun is shining and the snow-covered roofs are twinkling in a million colours, Irkutsk truly seems like a fairy tale land. 130 kvartal, Irkutsk, Irkutskaya Oblast, Russia. 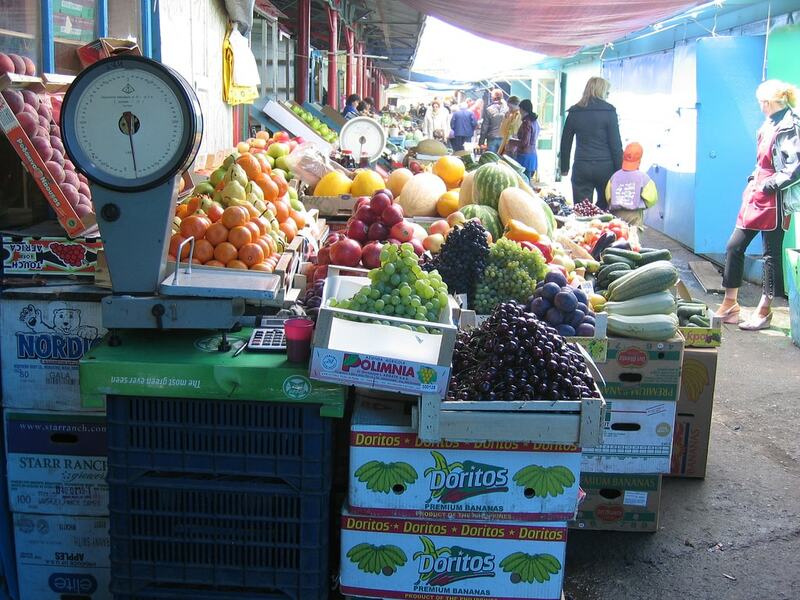 The Central Market is where most of the locals source their groceries. Here you can buy the endemic species of fish, fresh veggies, fruits and berries, homemade jams and fruit (or herb) infused liquors made by local artisans. Even more importantly, you can see how the locals truly live their lives. Ice is, obviously, an issue in Irkutsk. It has been an issue for so long that Irkutsk is where you can find one of the oldest ice-breaking ships in the world. It is now safely anchored in the Angara river and is open to visitors, but back in the day, it used to crush the ice on Baikal Lake to make travel across the lake possible (the train now goes around the lake, but back in the early twentieth century, the passengers needed to cross the lake by a ferry). The vessel was in use until 1962. A stroke of luck saved it from being demolished, and in 1990 it was anchored in Irkutsk and became the Ice-Breaker ‘Angara’ Museum. Thousands of political prisoners sent to Siberia throughout the centuries didn’t always make it home after their release. Some of them stayed in one of the cities nearby and started new lives there. Irkutsk’s Catholic church is the remnant of a community of Polish ex-prisoners who decided to stay. The church in Irkutsk does not serve sacral purposes anymore, instead it was transformed into an organ concert hall for the Irkutsk Philharmonics. 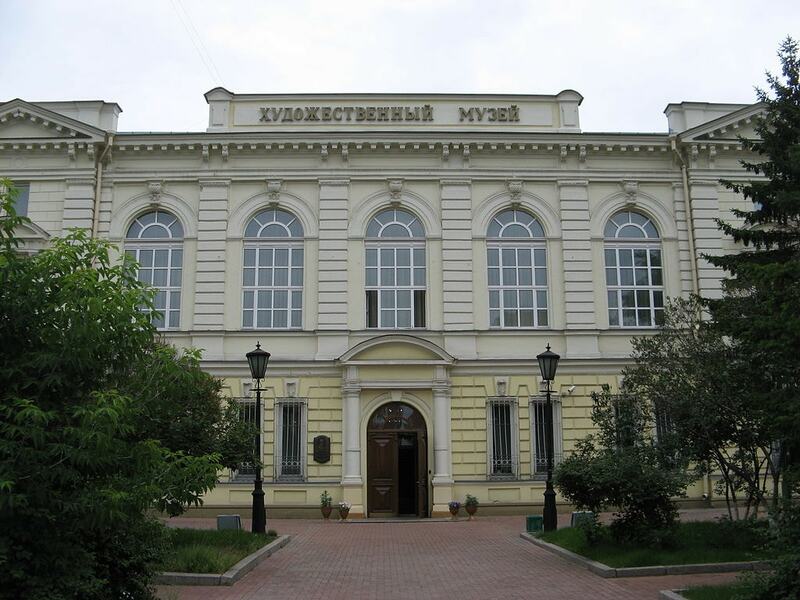 The Irkutsk Museum of Fine Arts holds the biggest collection of art in the whole of Siberia. It includes paintings, sculptures and icons, but, most importantly, a collection of folk art from the indigenous peoples of the area. It is a great place to go if you are curious about the peculiarities of the region. Orthodox churches are extravagantly decorated, and there is no shortage of them in Irkutsk. It is most certainly worth it to dedicate one afternoon to a church tour, to fully appreciate the unique character of each church. Krestovozdvizhenskaya Tserkov’ and Spasskaya Tserkov’ are the two churches especially worth a visit. #7 Take a picture with Babr, the symbol of Irkutsk. Babr is an old Russian word meaning ‘Siberian Tiger’. 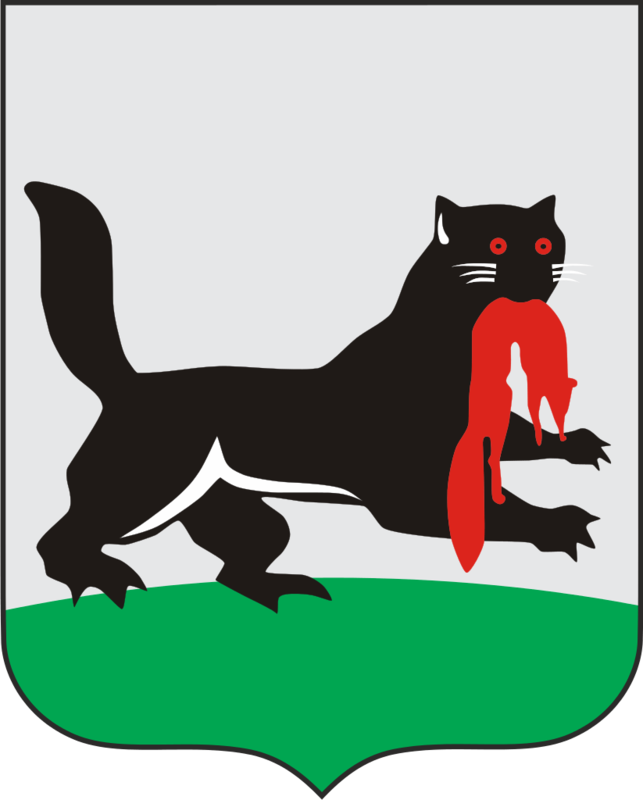 Babr is the symbol of Irkutsk, which has been present in its coat of arms since the city’s establishment. A sculpture of Babr was installed on the square by Lenina street in the historic centre of Irkutsk. It quickly became the favourite mascot among locals and a picture or selfie with Babr became an obligatory addition to the bucket list of every visitor. Make sure you don’t miss out on it either! Monument to Babr, Lenina 1, Irkutsk, Irkutskaya oblast, Russia.